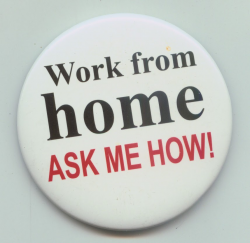 Jobs available for part timers and full timers also United Capital Club, one of the fast growing company in Travel & Tourism, is providing home based business opportunity. We need committed & result-oriented people who can join hands with us & contribute in the promotion & success of our BUSINESS. Earn HUGE benefits in form of INCOME (weekly/monthly), FREEBIES & an excellent opportunity to BUILD your own NETWORK & VISIBILITY in the TOURISM sector. Come & work in a no target, no selling, no work pressure, no time boundation& no boss environment. Kindly provide your email ID while replying. Thank you! Urgent requirement of a suitable candidate having one year experience as Lab Incharge in Manufacturing Industry. Qualification : B.Sc or 2 years Diploma Salary : Best in the Industry For further Details contact at +91 9882648121. URGENT REQUIREMENT OF MALE/FEMALES FOR FASHION INDUSTRY FOR OFFICIAL WORK AT CHANDIGARH:- Company name- Ifazone Runway Fashion Pvt. 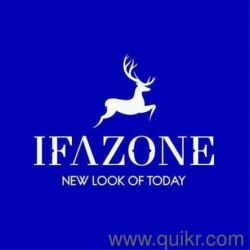 Ltd Brands:- ifazone (international level)& dynamic (national level) Product - garments and accessories. (cosmetics future planning) Work location - Chandigarh,Mohali Punjab Designation - management,team leader, Advisor , Senior Advisor,trainer,business developer,brand promoter. Qualification - 10+2 and Above Experience -fresher -experienced. Age:-18+ Monthly Income - 18000/- to 26000/- P.m. Accomodation free after joining. Male/Female both can apply for this work. income and post will depend on your skill after approval, company firstly provides 5 day training regarding work of company then 6th day approval (like interview) if selected then next day joining. for any query contact me- Amit kumar Mob- +918872112325 & whats app No. 9839161449 COMPANY'S OFFERS AND BENEFITS:accommodation is provided by company Company established in year 2011 and now company is going to open new branches all over INDIA to expand business. responsible for promoting company,as we are brand associate sales partner of two multinational companies. 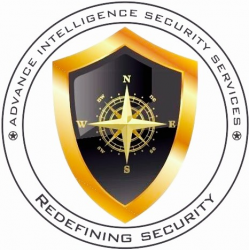 The main role of security is to protect the life, property and information from all kinds of losses. The security supervisor should analyze all the risk factors and initiate preventive measures strategically, in order to prevent any such losses. Shortly the main aim and objective of security is “TOTAL LOSS PREVENTION”. He should thoroughly understand the Asahi India Glass Ltd Physical Security Policy and Procedures. He should maintain all the records and documents as per the templates recommended in the AIS. Also he should ensure that all the records and documents are classified and authenticated. He is responsible for the physical means of protecting the property and should be very alert for proper guarding against thefts, pilferage, accidents and intruders. His oral and written communication should be very good and he should be able to give instructions clearly and firmly. He should be polite with the Employees & Guests however without a compromise on security delivery. He should be well verse with Telephonic etiquette’s and abide by security norms while conversing on telephone so that no confidential information are divulge. He should maintain and update all the documents on a daily basis. He should maintain all the key register properly and shall secure the keys properly in the cabinet. He should maintain a very professional relationship with all service providers. He should carry out an internal patrol at least twice during this tenure of duty. He should maintain visitors register properly. Any emergency situations, accidents, break in attempt, theft, or any other physical crimes should be immediately communicated to HR & Admin dept. He should ensure that the search of baggage of employees is carried out effectively. He should also ensure that all the service providers are aware of the security instructions and should issue Security Guidelines pamphlet to all the service providers. He should plan and execute, specific Loss Prevention Programs to prevent / minimize thefts and losses. He should establish an efficient Intelligence Sourcing and information gathering and thwart any loss / damage. He should ensure that all the guards are aware of their post and site instructions. He should high light emergency risk factors, if any to his superiors immediately. He should provide the escalation matrix of guarding company (land line and mobile numbers) to all the guards. It should include the contact numbers of SO, ASO, and BM. Critical Contact lists (Fire Brigade, Police, Hospitals etc.,) should keep at the Main Gate and should be reviewed on a monthly basis. He should provide the escalation matrix of AIS (land line and mobile numbers) to all guards. (It should include the contact numbers of HR & Admin). He should be aware and keep in hand all the Internal and External Emergency contacts. He should clearly understand that “TOTAL LOSS PREVENTION” is the main aim and objective of the security department.